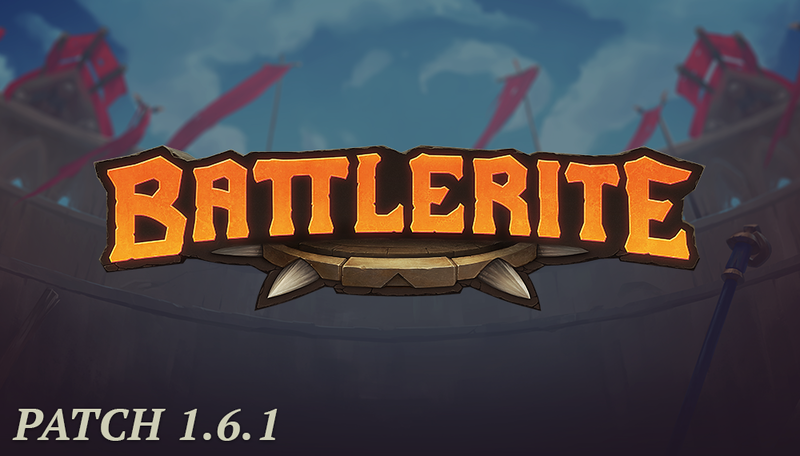 Patch 1.6.1 is scheduled to go live on Tuesday, June 5th at 9:00 CEST. Estimated downtime is scheduled to last 3 hours. Fixed an issue where some trails stayed alive longer than intended. With this patch we aim to smooth out current outliers in terms of Champion strength, without changing how rites or Champions work in substantial ways. We want to open up for additional choices at both the BPL Dreamhack finals and in general play, without stirring up the current state of the game dramatically. For Alysia we address her strong damage output slightly by adjusting some of her most popular rites. In addition it will no longer be as easy for her to apply a high duration Chill to enemies in close quarters. Bakko sees a change to his newest rite in order to make it a bit more reliable and controllable. The first attack blocked with Bulwark now grants a shield absorbing 14 damage for 3s to the closest nearby ally and yourself, as opposed to a shield absorbing 18 to the closest ally with the least health. Iva has a very strong and versatile utility role in the current meta, something we want to preserve overall. However, with these changes she should be a little easier to pin down. This change to Pearl will remove some of her strength in 2v2 and as a singular surviving champion, without affecting her performance in 3v3 in any significant way. There’s no denying that Rook became a powerhouse with his latest changes. We feel like he is approaching a role of play that could be interesting, but the value he currently offers is indeed a bit over the top. For this patch we’re toning down what he currently gains from most of his popular rites.